Former Indian cricketer, Rahul Dravid, on the launching of book, "Sachin Born to Bat", remembers one of the incidents of Chennai match and he micics Sachin Tendulkar saying, "Mein Karega"
Just within a year of the launch of the original Galaxy Note presented , Samsung has came up with the newer and effective version of the another handy Phablet, the Galaxy Note II. Some of the Eye catching specs of this phone are Super Amloed Screen, Simultaneous HD video and Image recording, Works on Jelly Bean Android, NFC, quad core processor with 1.6Ghz. Easy Clip options helps you to crop the images from the websites which can be easily shared to your near and dear ones on your social networks. Idea Sketch is an exciting app which recognizes your handwriting on the screen and it matches the inbuilt patters to what you did. The Auto Outline feature can be used to outline any photo which is captured or downloaded. Having the Black Friday tommo, we are sure, You can grab this Phablet at a very good price and believe us, this phone would certainly won't dissapoint you. 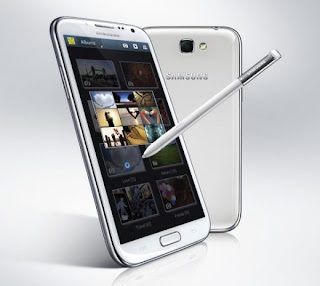 The Tools and Features of the Mobiles are shown in the videos below. The Smart Roation is really smart enough as the front camera keeps an eye on the user's face and whatever be the direction of the user's face, the screen is rotated accordingly. This feature is disabled by default, but it can be enabled by going into the display settings. Using the samsung dock, this phone can turn into a very good desktop with couple of USB ports, HDMI , speaker line out ports. The S pen works really great with the phone. It offers you the feature of storing the contacts in your handwriting, once its stored and you write the same next time, it automatically matches it. Whenever the S voice command is unable to be used in noisy conditions, the s pen replaces its work very effectively. The phone having a good large screen has taken advantage of multitasking very effectively.The new firmware update XXALIJ1 has enabled the split screen for the multitasking view in the note which can help you parallely work on many stuffs at a time. Yes, It works very well with multitasking too. Have a look. The Graduate Aptitude Test in Engineering, also known as GATE, is conducted jointly by the Indian Institution of Science, Bangalore, and the seven Indian Institutes of Technology (IITs) - IIT Mumbai, IIT Delhi, IIT Guwahati, IIT Kanpur, IIT Kharagpur, IIT Roorkee and IIT Madras. The GATE is meant to test the “comprehensive understanding of various undergraduate subjects in Engineering and Technology”. The test is conducted on behalf of the National Coordination Board. 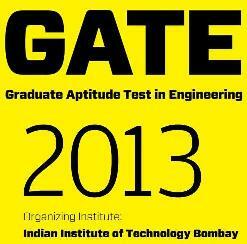 The last date to get the printed version of the online GATE application form will be on the 8th of October, 2012. The last date to send in a request regarding a change in the city will be on the 20th of November, 2012. The Online admit cards will be available on the Interface till the 5th of December, 2012. The papers AR, CE, GG, MA, MT, PH and TF will be conducted on the 20th of January, 2013 from 9 a.m to 12 noon. The papers AE, AG, BT, CH, CY, MN, XE and XL will be conducted on the same day from 2 p.m to 5 p.m. The offline papers of CS, ME and PI will be conducted on the 10th of February, 2013 from 9 a.m to 12 noon. The offline papers of EC, EE and IN will be conducted on the same day from 2p.m to 5 p.m. The results will be announced on the 15th of March, 2013 at 10 a.m.
Fifteen of the subject papers will be conducted via online testing. No application fee has to paid by any of the women taking the GATE in 2013. There is a GATE Online Application Interface has been created for the candidates in order to address their problems and give them information. The soft copies of the signature and the photograph of the candidate can be uploaded during the online application. The biometric information of certain randomly selected candidates may be captured on the day of the examination. The GATE score will now look at relative performance level of the candidate. It shall be formulated by a new formula. All the papers are of 100 marks each. Each paper shall contain sixty five questions in total. General Aptitude, or GA, will be measured by ten questions that will be worth ten marks. The rest of the paper will be from the prescribed syllabus. There will be four different types of questions in GATE 2013: Objective Multiple Choice Questions, Common data questions, linked answer questions and numerical answer questions. These questions will test the candidate’s ability to recall, comprehend, apply, analyse and synthesise. After passing GATE exam, you should opt in for the right career with Vodafone Careers . It gives anexcellent opportunity to work not only give vital boost to your career but also nurtures it. 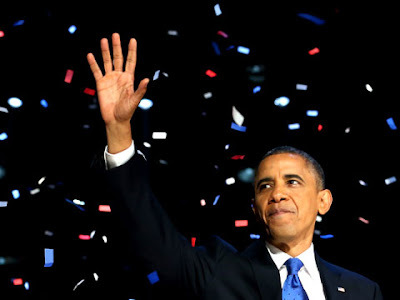 US president Barack Obama won the presidential elections continuously for the second term and created the history. He defeated Mitt Romney to win the second continuous term elections. His speech after the victory was appreciated and praised by many media journals and news channels. Tonight, more than 200 years after a former colony won the right to determine its own destiny, the task of perfecting our union moves forward. It moves forward because of you. It moves forward because you reaffirmed the spirit that has triumphed over war and depression, the spirit that has lifted this country from the depths of despair to the great heights of hope, the belief that while each of us will pursue our own individual dreams, we are an American family, and we rise or fall together as one nation and as one people. Tonight, in this election, you, the American people, reminded us that while our road has been hard, while our journey has been long, we have picked ourselves up, we have fought our way back, and we know in our hearts that for the United States of America, the best is yet to come. I want to thank every American who participated in this election. Whether you voted for the very first time or waited in line for a very long time, by the way, we have to fix that, whether you pounded the pavement or picked up the phone, whether you held an Obama sign or a Romney sign, you made your voice heard and you made a difference. I just spoke with Governor Romney and I congratulated him and Paul Ryan on a hard-fought campaign. We may have battled fiercely, but it's only because we love this country deeply and we care so strongly about its future. From George to Lenore to their son Mitt, the Romney family has chosen to give back to America through public service. And that is a legacy that we honour and applaud tonight. In the weeks ahead, I also look forward to sitting down with Governor Romney to talk about where we can work together to move this country forward. I want to thank my friend and partner of the last four years, America's happy warrior, and the best vice-president anybody could ever hope for, Joe Biden. And I wouldn't be the man I am today without the woman who agreed to marry me 20 years ago. Let me say this publicly. Michelle, I have never loved you more. I have never been prouder to watch the rest of America fall in love with you too as our nation's first lady. Sasha and Malia, before our very eyes, you're growing up to become two strong, smart, beautiful young women, just like your mom. And I am so proud of you guys. But I will say that, for now, one dog's probably enough. To the best campaign team and volunteers in the history of politics, the best ever, some of you were new this time around, and some of you have been at my side since the very beginning. But all of you are family. No matter what you do or where you go from here, you will carry the memory of the history we made together. And you will have the lifelong appreciation of a grateful president. Thank you for believing all the way , to every hill, to every valley. You lifted me up the whole day, and I will always be grateful for everything that you've done and all the incredible work that you've put in. I know that political campaigns can sometimes seem small, even silly. And that provides plenty of fodder for the cynics who tell us that politics is nothing more than a contest of egos or the domain of special interests. But if you ever get the chance to talk to folks who turned out at our rallies and crowded along a rope line in a high school gym or saw folks working late at a campaign office in some tiny county far away from home, you'll discover something else. You'll hear the determination in the voice of a young field organiser who's working his way through college and wants to make sure every child has that same opportunity. You'll hear the pride in the voice of a volunteer who's going door to door because her brother was finally hired when the local auto plant added another shift. You'll hear the deep patriotism in the voice of a military spouse who's working the phones late at night to make sure that no one who fights for this country ever has to fight for a job or a roof over their head when they come home. That's why we do this. That's what politics can be. That's why elections matter. It's not small, it's big. It's important. Democracy in a nation of 300 million can be noisy and messy and complicated. We have our own opinions. Each of us has deeply held beliefs. And when we go through tough times, when we make big decisions as a country, it necessarily stirs passions, stirs up controversy. That won't change after tonight. And it shouldn't. These arguments we have are a mark of our liberty, and we can never forget that as we speak, people in distant nations are risking their lives right now just for a chance to argue about the issues that matter, the chance to cast their ballots like we did today. But despite all our differences, most of us share certain hopes for America's future. We want our kids to grow up in a country where they have access to the best schools and the best teachers , a country that lives up to its legacy as the global leader in technology and discovery and innovation, with all of the good jobs and new businesses that follow. We want our children to live in an America that isn't burdened by debt, that isn't weakened up by inequality, that isn't threatened by the destructive power of a warming planet. We want to pass on a country that's safe and respected and admired around the world, a nation that is defended by the strongest military on Earth and the best troops this – this world has ever known, but also a country that moves with confidence beyond this time of war to shape a peace that is built on the promise of freedom and dignity for every human being. We believe in a generous America, in a compassionate America, in a tolerant America open to the dreams of an immigrant's daughter who studies in our schools and pledges to our flag , the young boy on the south side of Chicago who sees a life beyond the nearest street corner, to the furniture worker's child in North Carolina who wants to become a doctor or a scientist, an engineer or an entrepreneur, a diplomat or even a president. That's the that's the future we hope for. That's the vision we share. That's where we need to go forward. That's where we need to go. Now, we will disagree, sometimes fiercely, about how to get there. As it has for more than two centuries, progress will come in fits and starts. It's not always a straight line. It's not always a smooth path. By itself, the recognition that we have common hopes and dreams won't end all the gridlock, resolve all our problems or substitute for the painstaking work of building consensus and making the difficult compromises needed to move this country forward. But that common bond is where we must begin. Our economy is recovering. A decade of war is ending. A long campaign is now over. And whether I earned your vote or not, I have listened to you. I have learned from you. And you've made me a better president. And with your stories and your struggles, I return to the White House more determined and more inspired than ever about the work there is to do and the future that lies ahead. Tonight you voted for action, not politics as usual. You elected us to focus on your jobs, not ours. And in the coming weeks and months, I am looking forward to reaching out and working with leaders of both parties to meet the challenges we can only solve together, reducing our deficit, reforming our tax code, fixing our immigration system, freeing ourselves from foreign oil. We've got more work to do. But that doesn't mean your work is done. The role of citizens in our democracy does not end with your vote. America's never been about what can be done for us; it's about what can be done by us together, through the hard and frustrating but necessary work of self-government. That's the principle we were founded on. This country has more wealth than any nation, but that's not what makes us rich. We have the most powerful military in history, but that's not what makes us strong. Our university, our culture are all the envy of the world, but that's not what keeps the world coming to our shores. What makes America exceptional are the bonds that hold together the most diverse nation on Earth, the belief that our destiny is shared, that this country only works when we accept certain obligations to one another and to future generations, so that the freedom which so many Americans have fought for and died for come with responsibilities as well as rights, and among those are love and charity and duty and patriotism. That's what makes America great. I am hopeful tonight because I have seen this spirit at work in America. I've seen it in the family business whose owners would rather cut their own pay than lay off their neighbours and in the workers who would rather cut back their hours than see a friend lose a job. I've seen it in the soldiers who re-enlist after losing a limb and in those Seals who charged up the stairs into darkness and danger because they knew there was a buddy behind them watching their back. I've seen it on the shores of New Jersey and New York, where leaders from every party and level of government have swept aside their differences to help a community rebuild from the wreckage of a terrible storm. And I saw it just the other day in Mentor, Ohio, where a father told the story of his eight-year-old daughter whose long battle with leukaemia nearly cost their family everything had it not been for healthcare reform passing just a few months before the insurance company was about to stop paying for her care. I had an opportunity to not just talk to the father but meet this incredible daughter of his. And when he spoke to the crowd, listening to that father's story, every parent in that room had tears in their eyes because we knew that little girl could be our own. And I know that every American wants her future to be just as bright. That's who we are. That's the country I'm so proud to lead as your president. And tonight, despite all the hardship we've been through, despite all the frustrations of Washington, I've never been more hopeful about our future. I have never been more hopeful about America. And I ask you to sustain that hope. I'm not talking about blind optimism, the kind of hope that just ignores the enormity of the tasks ahead or the road blocks that stand in our path. I'm not talking about the wishful idealism that allows us to just sit on the sidelines or shirk from a fight. I have always believed that hope is that stubborn thing inside us that insists, despite all the evidence to the contrary, that something better awaits us so long as we have the courage to keep reaching, to keep working, to keep fighting. America, I believe we can build on the progress we've made and continue to fight for new jobs and new opportunities and new security for the middle class. I believe we can keep the promise of our founding, the idea that if you're willing to work hard, it doesn't matter who you are or where you come from or what you look like or where you love. It doesn't matter whether you're black or white or Hispanic or Asian or Native American or young or old or rich or poor, abled, disabled, gay or straight. You can make it here in America if you're willing to try. I believe we can seize this future together because we are not as divided as our politics suggests. We're not as cynical as the pundits believe. We are greater than the sum of our individual ambitions and we remain more than a collection of red states and blue states. We are, and forever will be, the United States of America. And together, with your help and God's grace, we will continue our journey forward and remind the world just why it is that we live in the greatest nation on earth. Thank you, America. God bless you. God bless these United States.